First teaser trailer of new James Bond film, Spectre released Friday night. 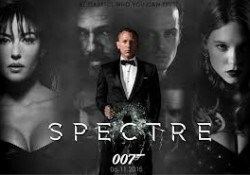 Daniel Craig’s fourth performance as bond, an Eon productions movie directed by Sam Mendes. Scheduled releasing date November 6, 2015.